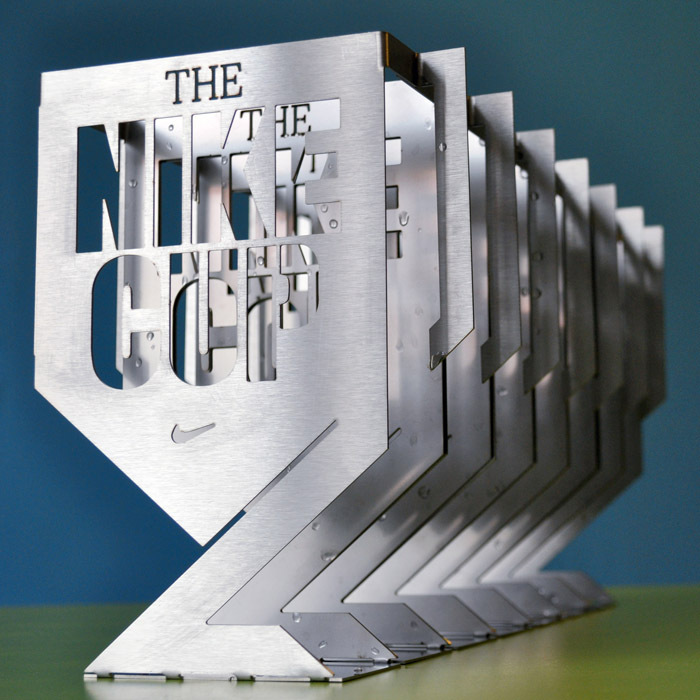 Every year Nike organizes a street football cup. For this occasion we were asked to design a set of cups, the main one for the winning team and smaller ones for the finalists. The shape of the cup is based on a given graphic design, which was the same for all participating countries. The designers from these countries had to transform this graphic design into 3d shape using any material they liked. 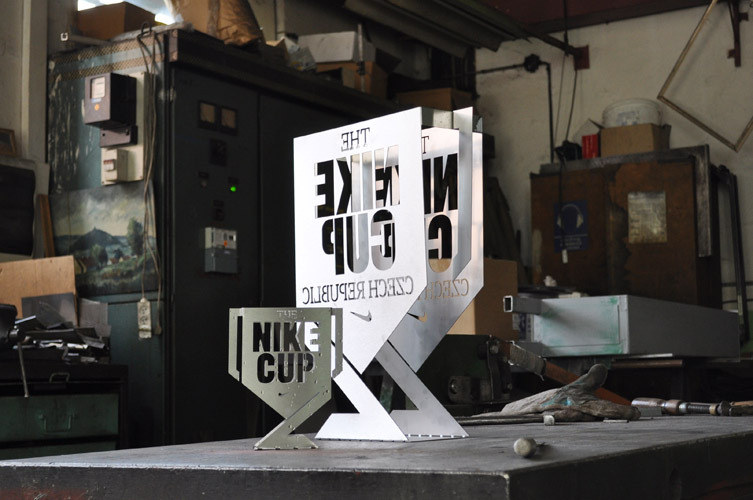 Our aim was to design the cup so that it was easily produced and it wasn´t extremely expensive.